Let’s take a look at the sneak promo pic first! I grew up watching Doraemon every weekend’s morning and i always enjoyed going on a magical adventure together with him, Nobita and the rest of the gang. 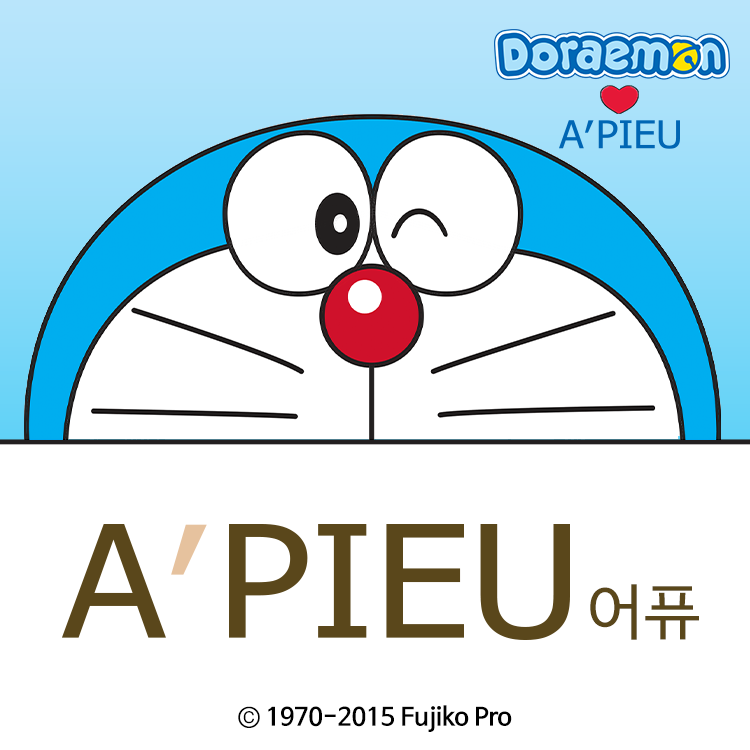 If you have a problem, trust Doraemon to have a solution for it in his never ending, multipurpose, magical pouch! Want to teleport? No problem! Just say the name of the place and walk through the magical door! Want to fly? No problem! Just attach a tiny little propeller on the top of your head and watch it turn and lift you up, up and away! See? I really can’t contain my excitement over this blue robotic cat with a solution to every problem, and i share the same excitement over the LATEST A’PIEU X DORAEMON limited edition collection slated to be released on the 20 August 2015. But be warned as this collection has garnered the interests of over ten thousand fans as of this moment and stocks are limited. Fingers crossed I am able to get a piece of the BB cushion by the time the collection is out on shelves. 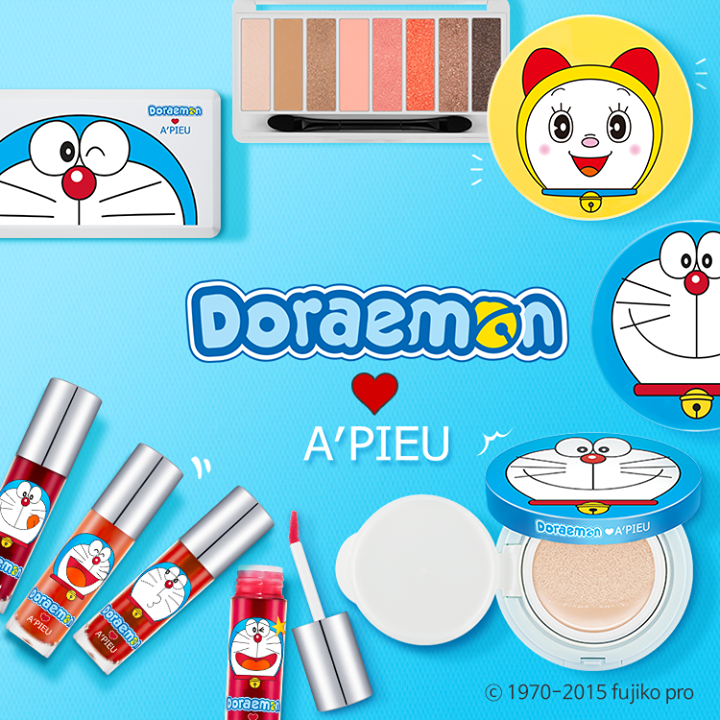 Over on A’Pieu’s website, there isn’t any information on the products that will be included in this A’PIEU X DORAEMON collection so i’ll have to update the product portion at a later date. I know i will be getting one. Will you be getting one too? er … wher can we order this??? does it ships to singapore?